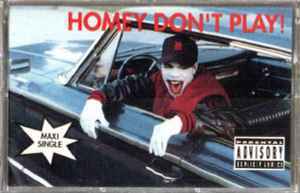 Esham ‎– Homey Don't Play! I found this album a long time ago , and it was the first CD I ever got that has Esham on it. It's the coolest thing I've ever had , next to I C P.
Need some vinyl runs of the early Esham stuff. Search for Homey Don't Play!